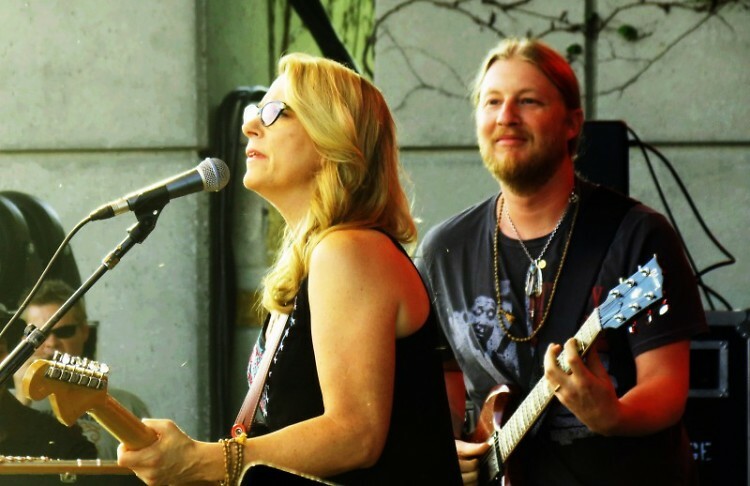 Tedeschi Trucks Band, an 11 piece jam ensemble with a rich blues-gospel tone, sets the bar for incredible performances at a sold out Frederick Meijer Gardens. Highlights included covers of The Beatles and Joe Cocker . More more information and to buy tickets, visit Meijer Gardens' website. Tedeschi Trucks Band (TTB) is more of a jam orchestra than a band. And for Charlie Jones, a local engineer, listening to them perform at Meijer Gardens on Saturday was nothing short of a spiritual experience. Led by husband-wife duo Susan Tedeschi and Derek Trucks, this 11 member ensemble includes two drummers, a horn section, and consistently performs impressive compositions with an improvisational spirit that makestheir shows truly unique. After experiencing TTB’s blues, soul, gospel and R&B infused performance at Meijer Gardens, it’s easy to see how he could be sent on such a mystical journey. Jones said he had never seen Tedeschi Trucks Band perform together before this performance. He has seen Trucks play with the Allman Brothers Band, and has heard the music of Tedeschi from a distance, but has never witnessed the 'magic' of a full TTB show. 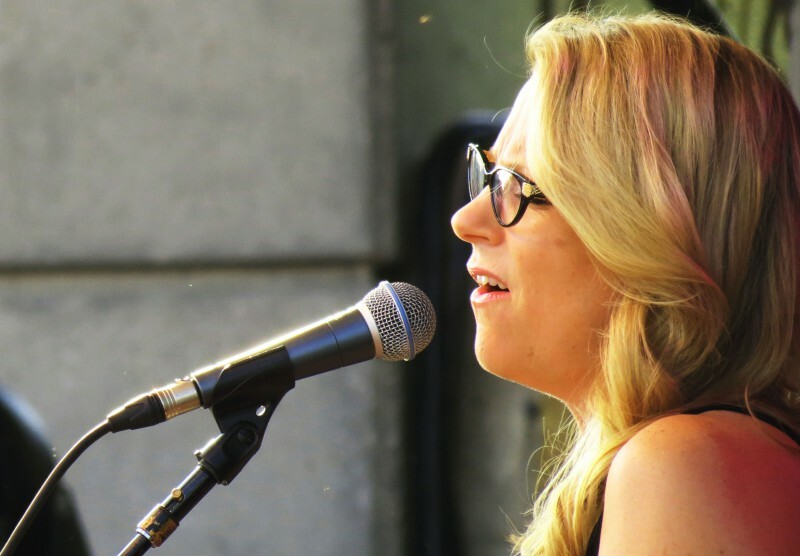 Tedeschi continued her poignant gospel lyricism on "Don't Let Me Slide." You make me want to wake up in the morning/you make me want to be the best I can/Always searching but never finding/until you took me by my hand...You can't blame me Lord for trying/To hide behind the fool that I am/You know I've never been afraid of flying/Just never knew how to land...Don't let me slide/It's just a matter of time/Don't let me slide into my dark side. Song after song, Tedeschi earned her title as the rock'n'roll high priestess. Her voice, a spellbinding blend of Janis Joplin and Bonnie Raitt with a blues-gospel flair, likely converted even the most steadfast atheist at Meijer Gardens to the church of TTB. After reeling off several more songs, TTB played a Derek Trucks Band song, “Don’t Miss Me,” which brought backup singer Mike Mattison to the front of the stage to perform lead vocals. The song continued with Tedeschi and Mattison harmonizing a chorus of “There ain’t no need to miss me when I’m gone,” followed by a punching saxophone solo by Kebbi Williams. Shortly thereafter, TTB played one of the highlights of the night, an uptempo, burning cover of The Beatles' “Eleanor Rigby,” and Jones rose up to praise. From that point on, the band was could do no wrong, switching seamlessly from jazzy improvisational bits to soaring guitar solos from Trucks to -- most notably -- some ferocious horn solos which drew most of the crowd to their feet near the end of the set. TTB finished off the night with an incredible two-song encore. On the first song, “Idle Wind,” keyboardist Kofi Burbridge set the tone with a soft jazz flute, which led into a rousing finish that got any remaining skeptics out of their seats and dancing with Jones and the rest of the audience. The final song was a cover of Joe Cocker’s “Space Captain,” a tune about, oddly enough, a space captain who gets stuck on earth. The meaning of the song is not derived from the part about space, however. It comes from the song’s final line of “learning to live together…until we die,” which Tedeschi repeats continuously, each time more passionate than the last. “Amen,” repeated Jones again, as he did several times throughout the night. While the rest of TTB are all clearly world class musicians, Tedeschi and Trucks are the heart and soul of the band. Without Tedeschi, Trucks would still be one of the greatest living guitar players, but Tedeschi’s voice brings the rest of the band to the highly elevated state fans like Jones got to hear all night. More often than not, people leave a concert satisfied, but nothing more. The fact that Jones is able to have these spiritual experiences speaks to the healing power of music, and the significance a particular band can have in a person's life. His experience was a beautiful thing to watch happen, and made for yet another truly unifying experience at Michigan’s premiere outdoor concert venue.